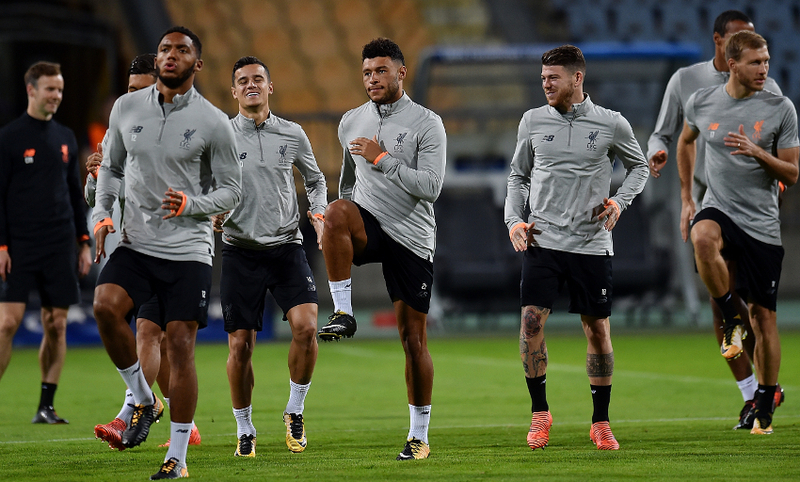 Follow all of the build-up, action and reaction as Liverpool take on Slovenian champions NK Maribor in their third game of Champions League Group E.
A first Liverpool goal for Alex Oxlade-Chamberlain. 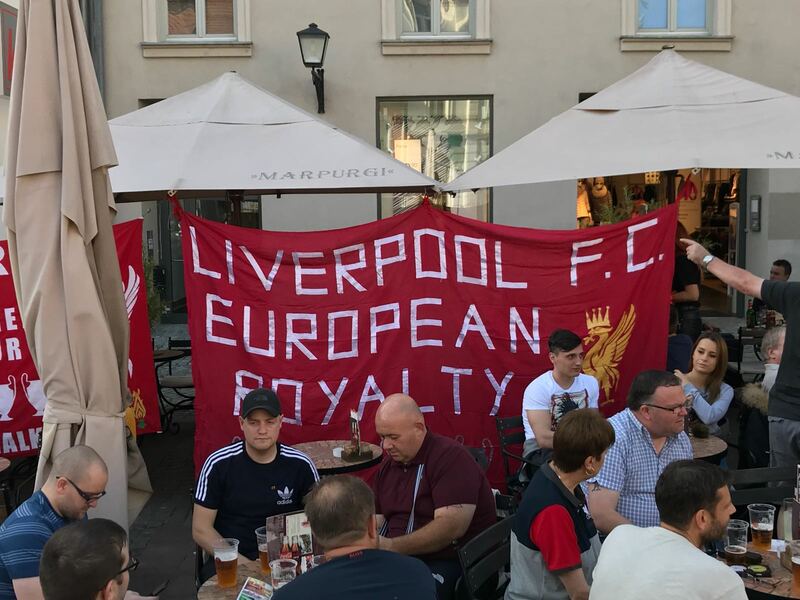 All over in Slovenia and the Reds have set a new record for their biggest away win in Europe, hitting an incredible seven goals. What a performance and one that you felt had been coming for a while. This is just ridiculous now. Alexander-Arnold collects the ball at the edge of the box and fires off a low shot that wrong-foots the goalkeeper and nestles in the back of the net. FYI, that goal means this is Liverpool's biggest ever away win in European competition. 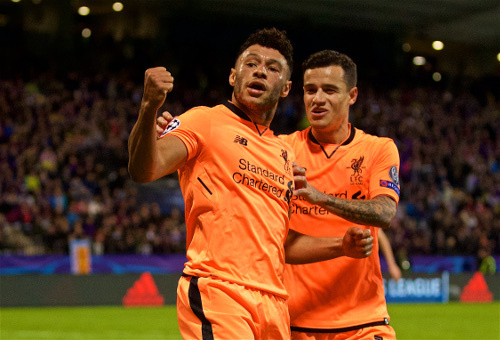 The Reds win it in the final third again and Sturridge picks out the onrushing Oxlade-Chamberlain, whose excellent first touch takes him in on goal. The summer signing subsequently shows great cool in opening his body to slot home. Still all Liverpool but the visitors just stroking the ball around patiently probing now rather than trying to crack Maribor's defence open with a sledgehammer. I think both teams would take this scoreline now. Oxlade-Chamberlain intercepts a pass out from the back, leaves his man for dead and fires a shot away. Unfortunately, Handanovic is equal to the attempt. A third and final change for the Reds, Dominic Solanke replacing Georginio Wijnaldum. Daniel Sturridge enters the fray, taking the place of Roberto Firmino. Maribor now making two changes. Martin Kramaric makes way for Dino Hotic, while Valon Ahmedi leaves the field to be replaced by Aleks Pihler. The first substitution of the night for Liverpool, with Mohamed Salah making way for Alex Oxlade-Chamberlain. Brilliant from the Reds' No.11 this evening. The Reds have another but it's thanks to a set-piece rather than particularly beautiful play. Coutinho swings in a free-kick from the left-hand edge of the box and Firmino gets the faintest touch with his head to divert it into the far corner. Liverpool are playing some gorgeous football here. The latest slick move gets Firmino in behind on the left but, unfortunately, Wijnaldum can't divert the pull-back home. Liverpool almost punish Maribor from a corner but Lovren can't get the ball under control at the edge of the box and the chance is lost. We're back under way in Maribor. Take a look at the numbers from a brilliant first half for Liverpool with our Opta widget. We've seen a few celebrations already tonight. Tonight is the first time @LFC have scored 4 away from home in Europe in opening 45 minutes. What a half for the Reds. Roberto Firmino, Philippe Coutinho and Mohamed Salah (two) with the goals to put the visitors in command. The first booking of the evening goes to Martin Milec for a cynical pull-back on Philippe Coutinho on the touchline. 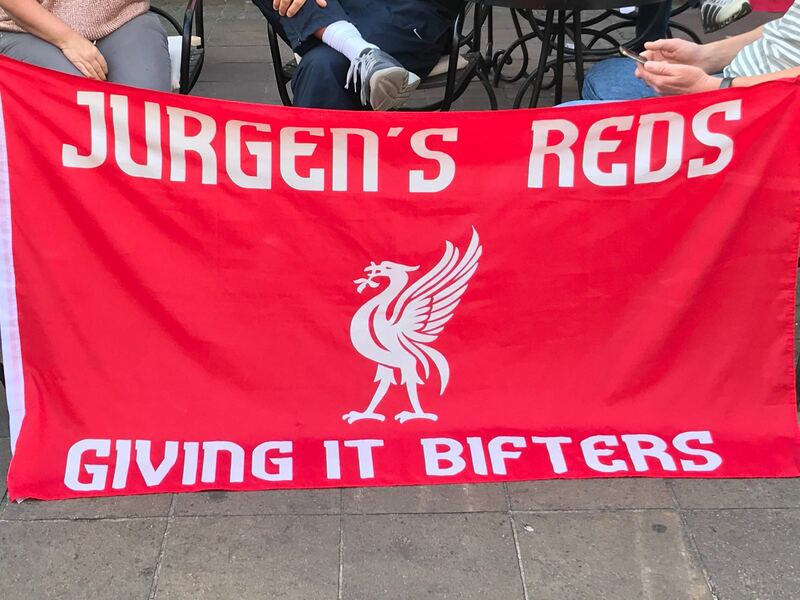 This is just remarkable from the Reds. Coutinho flicks a beauty of a through-ball in behind and Moreno gets his head up before sliding a buffet ball across the box for Firmino and Salah. It is the Egyptian (according to UEFA, at least) who gets the final touch. Coutinho wriggles free in the box but his shot is blocked by a mass of Maribor bodies - the Slovenian champions are up against it here. 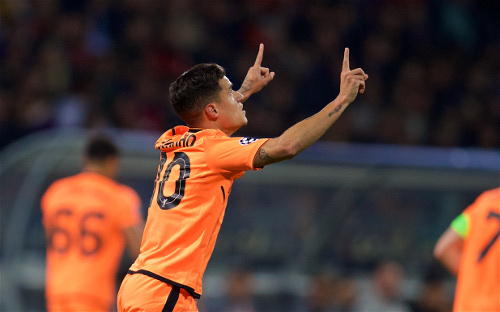 Four goals in four consecutive away games for Philippe Coutinho. Liverpool don't look happy with just a three-goal lead. Salah has the ball in the back of the net yet again but the flag is up for offside and it won't count. The other member of the Reds' three-pronged attack gets in on the act, finishing cooly after being slid in by Firmino. The Reds keep winning the ball in the final third and immediately turning possession into a goal. Impressive stuff from the visitors. What a finish from Phil! Liverpool work it well down the right-hand side, allowing Milner to fire in a waist-height cross that looks difficult to divert home. 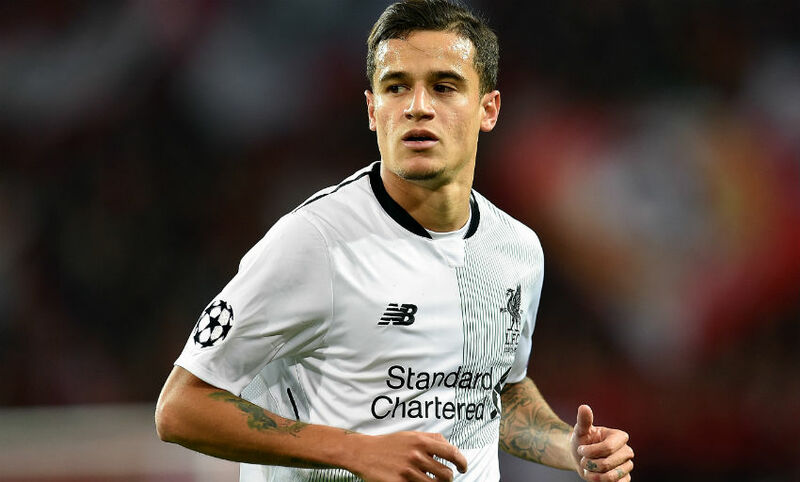 It's no problem for a player of Coutinho's quality, though, with the Brazilian jumping to meet the ball and cushioning it in beautifully. Since conceding, Maribor have offered a couple of reminders of their threat on the counter. The Reds need to remain wary as they push for a second goal. The Reds are in front early! Salah uses his pace to get in ahead of a defender and win the ball high up the pitch before picking out Firmino for a tap-in. A straightforward goal for Liverpool and a dream start. 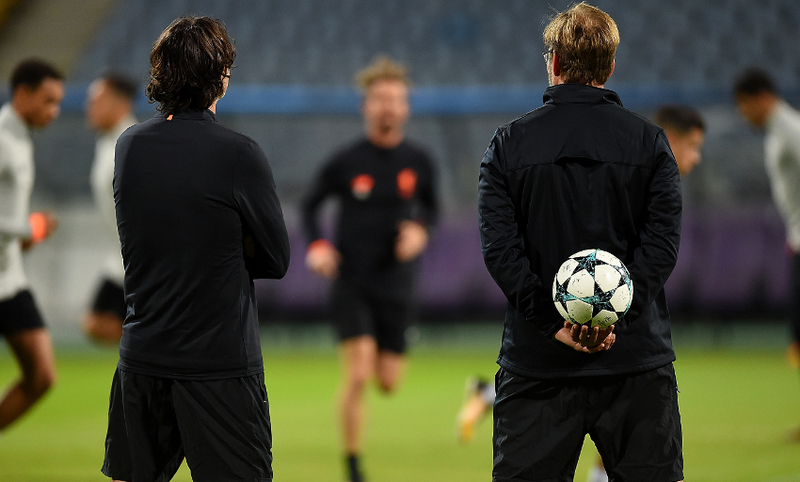 Liverpool get proceedings under way in Slovenia. The players are back in the dressing room and making their final preparations for the start of the game. Meanwhile, it's all fun and games in the away end here, with the Liverpool supporters entertaining themselves with a U2/Status Quo singalong. "It makes sense to bring in fresh legs, Jordan has played almost every game," the boss told BT Sport in his pre-match interview. 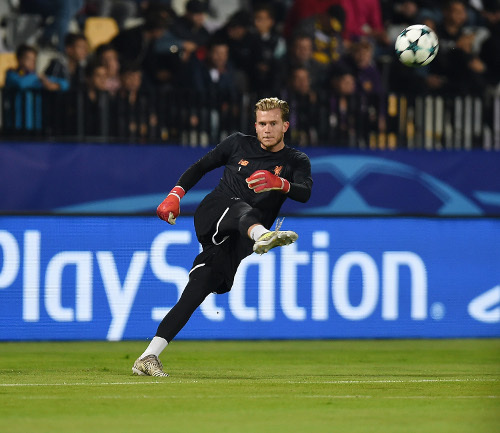 Liverpool's starting goalkeeper this evening goes through his warm-up. With the group still wide open its vital we take advantage of these next two matches. Got to be more clinical when we get chances. Maribor: Handanovic, Suler, Vrhovec, Ahmedi, Kabha, Tavares, Milec, Rajcevic, Viler, Bohar, Kramaric. Subs: Obradovic, Billong, Pihler, Hotic, Vrsic, Mesanovic, Palcic. Karius, Alexander-Arnold, Matip, Lovren, Moreno, Milner, Wijnaldum, Can, Coutinho, Salah, Firmino. 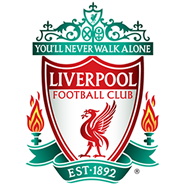 Subs: Mignolet, Gomez, Henderson, Sturridge, Klavan, Oxlade-Chamberlain, Solanke. Philippe Coutinho has scored in each of the Reds' last three away games. Should he do so again tonight, he would emulate Steven Gerrard - in March 2014 - as the most recent Liverpool player to net in four consecutive matches on the road. Here's how our partner BetVictor has priced up the tie. 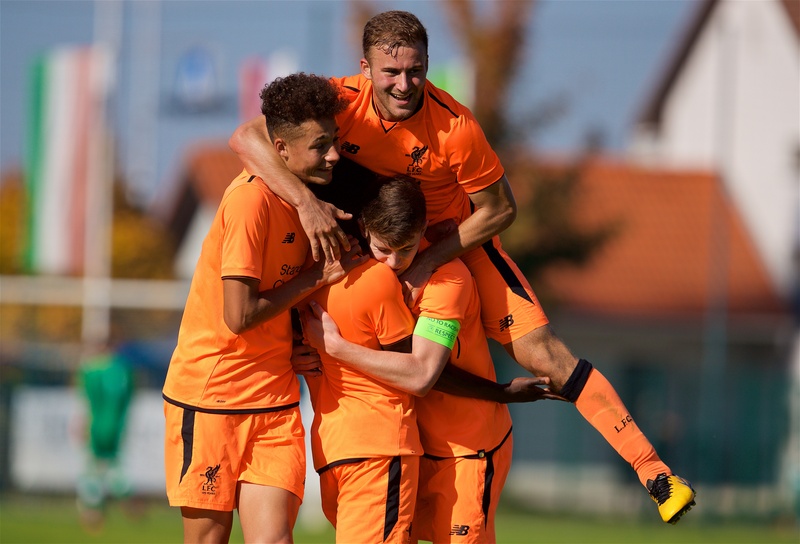 Top marks to the LFC U19s, who have returned to winning ways in their UEFA Youth League campaign with an impressive 4-1 success over their Maribor counterparts this afternoon. Bobby Adekanye bagged two, with Herbie Kane and Liam Millar also on target - while Kamil Grabara stopped a penalty - to give Steven Gerrard's charges a creditable European result. Fans attending tonight's game are reminded enhanced security will be in operation. Turnstiles open 7.15pm local time, with kick-off 8.45pm. Klopp, meanwhile, was joined by defender Dejan Lovren for his media briefing on Monday. Maribor coach Darko Milanic hinted at how his team will approach tonight's game in his pre-match press conference, stating: "Liverpool like to dominate in the middle. We need our wingers to do their job flawlessly. "We have done the analysis, so everyone knows what needs to be done. Their full-backs also like to come forward, so if need be, we'll counter that with five at the back, but we'd also like to be in a good position to counter. It's one of those matches where there will be no let-up. Hard work without rest is the key. We have quality substitutes when the time comes." We're a little way off receiving confirmed team news but we do know a few things already about the respective starting line-ups this evening. 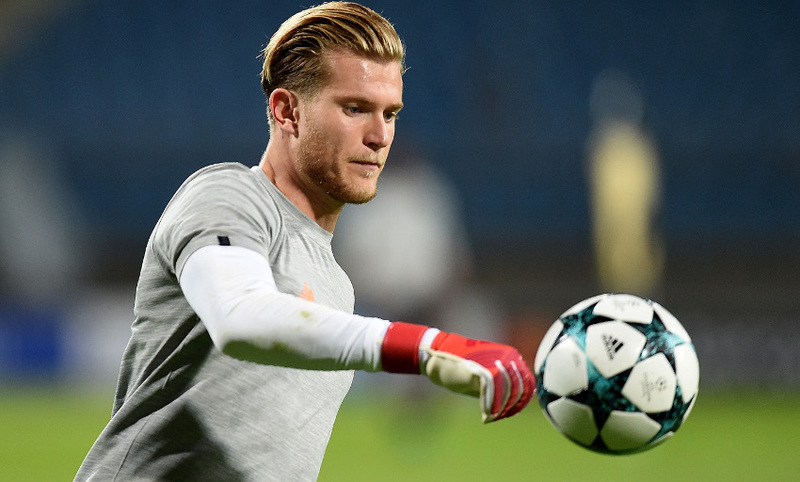 Loris Karius will once more take up the gloves for the Reds in the Champions League, while Alex Oxlade-Chamberlain is knocking on the door for a start after an impressive cameo at the weekend. 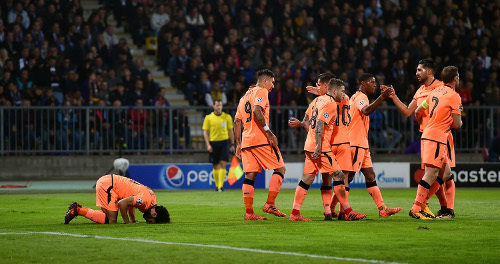 However, the manager was at pains to stress Liverpool will not be looking to 'rotate' or underestimate the challenge posed by Maribor, who reached the group stage via three rounds of qualifiers. The home side, for their part, have lost forward Luka Zahovic to injury ahead of the tie. 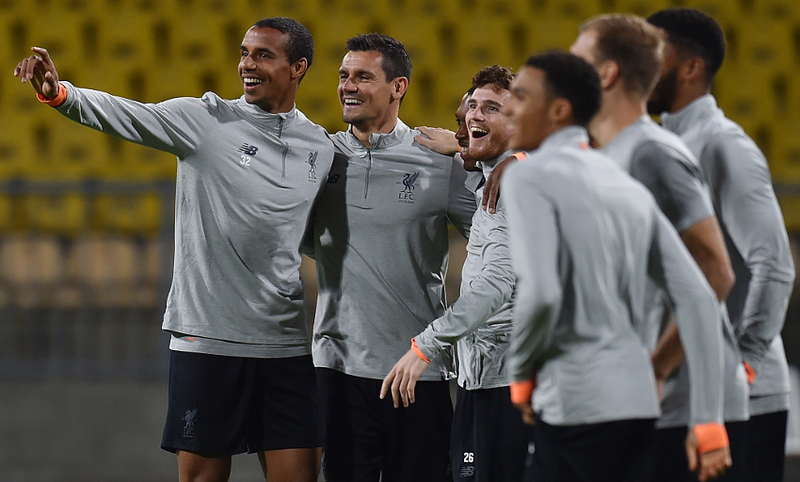 As mentioned, Klopp's 21-man Liverpool squad trained in Slovenia upon arrival on Monday - see a selection of our images from the session below. 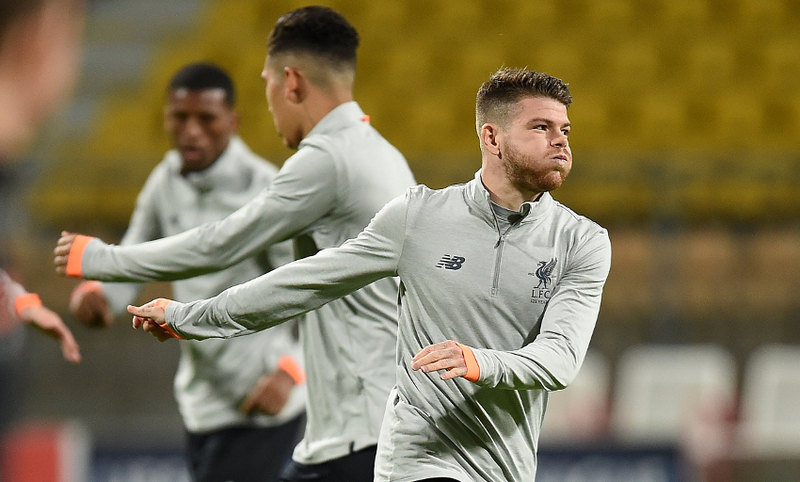 Liverpool have drawn each of their opening two matches in Group E, 2-2 at home to Sevilla and 1-1 at Spartak Moscow, while Maribor have tallied a single point from meetings with the same opponents. 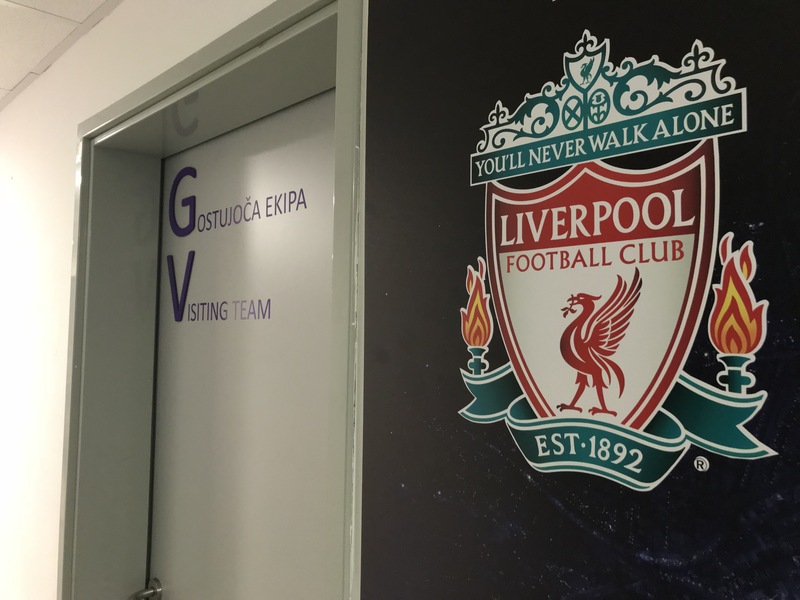 So another European night awaits us, with Liverpool set to face a new opponent - Slovenian champions Maribor - in their third fixture of Champions League Group E.
The Reds arrived on Monday evening and then trained at the Ljudski vrt stadium, where tonight's action will take place as Jürgen Klopp's side aim for their first win of the campaign in this competition. Stick with us for all of the build-up, action and reaction from the game.